Within 3 steps you can refer to an Specialist. Search for a Specialist for your patient. Choose the Specialist and make a Referral. The referral form pre-populates with relevant patient information which you can edit. Check the status of your Referrals. See when the specialist has acknowledged your referral. The most complete and comprehensive list of specialists and their detailed profiles available. 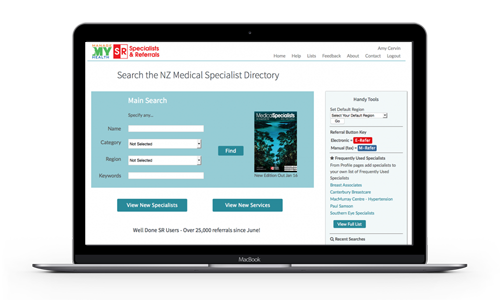 The entire NZ Medical Specialists Directory is live in Medtech. Specialists & Referrals is delivered to you by Medtech and Cervin Media working collaboratively together. Over the past year the service has been constantly refined and improved based on GP feedback. We are committed to continuing to develop this very handy service. With over 30,000 referrals in the first 11 months it is obvious Specialist & Referrals is meeting the needs of many GPs for a professional, easy and time-saving referral service. Specialists & Referrals helps you to find a Specialist that is appropriate for your patient. Search by name, keyword or category. You can refine the search by Region and Urgent Appointments. By getting the detail right Specialists & Referrals saves you time – the ManageMyHealth referral form is simple and has been developed by Medtech so it is properly integrated within Medtech. Print a patient handout with contact details so they can make their appointment. Using Specialists & Referrals, specialists can access your patients referral anywhere and anytime – even through the browser on their mobile phone. Cervin Media is pro-active in monitoring the Specialists & Referrals service to provide you with a good experience. Our team works everyday to support and continue improving SR. We are constantly implementing suggestions from our users. The SR service is a leap forward in improving the referral pathways between GPs and specialists. The referral information is sent quickly and securely, priority grading can then be done at the receiving end and an acknowledgement of receipt sent back equally efficiently. The user interface is equally easy to navigate. 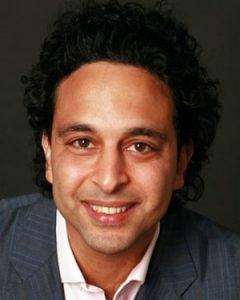 This service is a great example of how well designed software can help ease the burden of repetitive tasks and improve communication between doctors. 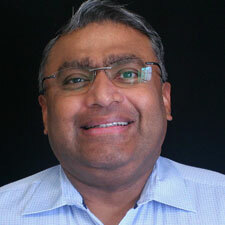 One of Endoscopy Auckland’s greatest challenges is managing the volue of referrals received in a timely way. The electronic referral via the Specialist & Referrals service is great tool to send all of the information required to us and ensure receipt of the referral. Once a doctor sees how easy it makes searching for a specialist and then sending out a referral, it is a no-brainer. Cervin Media has been producing informational based products since 1989.